Are VPNs worth it? As they have a bit of a reputation for slowing down your internet connection. Express VPN aims to resolve this and offers fast DNS servers Australia. They make bold claims and them back it up. Apart from giving you the best connection problem, it’s one of the few VPNs that work with Netflix, and they top it off with a 30-day money back guarantee. The number of servers is a concern for many users, Express VPN remedies by having over 1,500 servers in 145 locations which cover 94 countries. The more Servers a company has, there more chance to locate one that is not overcrowded with users which is more than you will ever get from a good free VPN. Express VPN is well supported by the number of protocols it supports although it does automatically select the most favourable protocol for your setup out of the box. Almost any device can be configured to work with Express VPN’s servers. Installation is smooth, and the interface is kept with a minimalist design to keep things simple and let connection and disconnection happen at the touch of a button. Make the Express VPN download and install, less than 3 minutes. Express VPN offers a standalone DNS service which can come in handy to prevent attackers from being able to monitor your DNS requests and ultimately track you while on the web. Express VPN supports a broad selection of platforms from Windows, Mac OS/ OS X, iOS, Express VPN Apple TV and Android. There is also a custom app available for Linux, and although this is a terminal command-line application, it does include DNS leak protection by default. Now with Express VPN, you can protect a host of devices and not just Pc’s, Mac’s, tabs and phones. It is possible to secure any device which has an internet connection such as your smart TV or games console and any other device you can throw into the mix. Although Express VPN does only support 3 devices per licence, you can purchase a home router that protects all of your home’s devices and only counts as one device. Is ExpressVPN Safe? Express VPN offers some of the tightest encryption you can think of. As this is one area that can negatively affect performance, Express VPN has done quite a remarkable job in keeping connection speeds pretty high. Is Express VPN legit? Express VPN blocker is outside of the legal jurisdiction of law enforcement agencies. The NSA and GCHQ are off limits, and they hold no logs or monitor any user activity, so you are free to use it as you wish. Dates and the server used are tracked by Express VPN as is the amount of data you have transferred. If you think your IP address is tracked, this is not the case, and all the other information is only relevant to your account. If you want total protection and anonymity you can sign up for a burner email account and bitcoin, there would be none of this information being related back to your devices. Apart from this, users are given a shared IP address which also adds a considerable amount of anonymity. If you are worried about a key being cracked, it has been calculated it would take close to a trillion, trillion attempts to crack it. Signing up for Express VPN is as easy as it could be, and apart from the payment, you are only required to provide a valid email address. When signed up, you get the standard fare welcome email which contains a few useful links to set-up your device. No matter what device you use the user interfaces all have the same minimalist design, and on first set-up, all you have is a window where to enter your activation code. Once the code is entered, you are then faced with the options of choosing location and hitting connect. From this submenu, you can tweak various options such as the firewall-based kill switch and DNS leak protection. Express VPN takes browser extensions to another level. These are not your regular browser-only proxy servers, they are full software which requires installation. Where they differ though is, once you activate the extension it protects the whole computer. This works for both Windows and Mac OS/ OSX. Both apps are identical and can be downloaded from the app stores. This makes it simple to install, activate and use as the features are the same as the desktop alternatives. As Express VPN gives you 94 countries to choose from and has over 1,500 servers, you are pretty well covered, and you will find this number is above average for many more run of the mill VPN providers. With regards to streaming, it is possible to watch a 1080p video with no buffering, and fast-paced online games suffer from minimal amounts of lag. With download speeds, Express VPN maintains good speed levels on average when compared to others, and is not overly affected by the server and time of day and is a little more robust and less volatile at peak times. Express VPN also keeps with its own built-in VPN tester tool which can show which of their servers are providing the best speeds. The tool displays the latency and download speeds, and although useful, it can take a while to run through the process, and results might vary from one hour to the next. Customer support is rather special when it comes to Express VPN, they promote 24/7 support, and that is precisely what you get. That’s not to say you need the assistance that often, as the software is configured to go as soon as you install it, no matter what your device. With their live chat system, the average time for a response was a mere 15 seconds which is suitable for any customer support. The staff who responded are also accommodating and have a vast range of knowledge, and if they can’t answer the question directly, it doesn’t take long to get connected to a person who does. You also have the option for email enquires if live chat is not your bag. Express VPN is not a company to bombard you with spam emails or unsolicited promotions, and the extent they go to is the “Get ExpressVPN now” buttons on ExpressVPN.com. They also give you the option of referring friends, yet this isn’t over the top and forceful in any way. On the whole, there are not really that many services which can top ExpressVPN in every department. They might have one or two things they do better, yet with ExpressVPN you do get a lot of value and reliability for your money. With the number of device types that it supports and the amount of tutorials that are available and backed up by their market leading customer support, it’s easy to see why Express VPN stands out above the field. 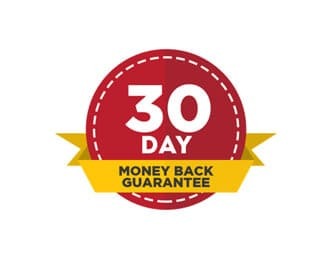 Although there is no free plan or free trial, you do have that lengthy 30-day money-back guarantee. If you are not satisfied and you think is a VPN worth it after all? All it takes is a quick email, and without any quibbles, they will refund your money. ExpressVPN does cost a little more than many other VPS’s, yet you know out of the box you’re going to get more locations, top of the range performance. The best security features you can wish for, and if you value the quality of service, this might just be the best VPN for Australia. When looking at all the features, speed and security of Express VPN, you have to see how it stacks up compared to its competitors. Here is a comparison of how it compares to the top four competitors. Express VPN and Nord VPN are the two market leaders, they have similar features, but how do they compare in real terms. Express VPN wins on features and just edges in front for ease of use, and consistent speed yet NordVPN is a cheaper option if you are on a budget. Express VPN gives the fastest speeds and unlimited bandwidth for the downloading of torrents. The better of the two for windows depends on your priority, if you want to stream movies and shows then Express VPN is the clear winner, yet if you want more security, NordVPN edges in front. Android splits the two again, NordVPN gives you much better encryption yet for ease of installation and use Express VPN is the winner. For iOS Express VPN gives you that ease of installation, yet with only 3 devices that can be connected, NordVPN pulls in front with 6 of your Apple devices that can be connected. If you want to access US-based content, Express VPN is the much better option regardless of your location in the world. IPVanish offers the highest speeds and is high quality, yet Express VPN pulls in front with being feature-rich and intuitive to use. Express VPN also pulls in front for longer downloads such as torrents. The better of the two for windows/ Mac depends on your priority, if you want to stream movies and shows, then Express VPN is the clear winner as IP Vanish has limited servers and countries supported, and had a few reliability problems with the Mac. If you want to access US-based content, Express VPN is the much better option regardless of your location in the world, as IPVanish is based in the US and has bad privacy jurisdiction. Compared with each other Express VPN maintains its killer speeds and has an excellent record with Netflix. As a backup, their customer service is without a doubt the best you can find. In both of these categories, PureVPN just doesn’t stack up. ExpressVPN pulls ahead in being easy to use and stable while PureVPN still lags behind in pretty much all departments. PureVPN doesn’t retain any logs apart from session log, while ExpressVPN does keep minor records of the date, the server used and the data transferred. Cyber Ghost does come with a free version, although it is a decent VPN it is unable to hold a candle to ExpressVPN in most regards. On the MAC CyberGhost edges a little ahead of ExpressVPN, it installs quickly and offers full 256-bit encryption. Couple this with the additional 2 devices that can connect and it manages to beat ExpressVPN in one department. CyberGhost does win quite easily on price, yet you do get what you pay for. CyberGhost might be the best free option, yet it is limited as you would expect and then the premium version suffers when it comes to speeds. Specials Note: There are some common misspellings of this service and they include – epressvpn, expres vpn as well as epress vpn.